Pyongyang, Nov 6 North Korea has unveiled what's thought to be the first official painting of Kim Jong-un, lifting the leader to a new level of personality cult. 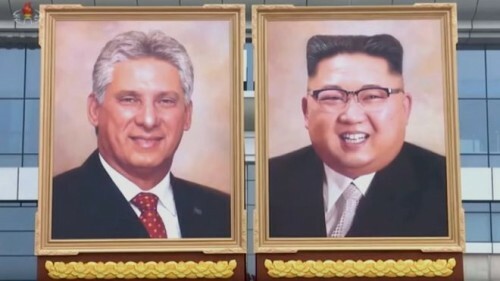 While his predecessors' portraits are all across the country, Kim has long been styled as a successor rather than a leader in his own right, the BBC reported on Tuesday. Older pictures of Kim's were photographs, not paintings, or unofficial fan art. "That a painted portrait of Kim Jong-un has appeared in this style is a strong hint that the regime could be beginning to take steps to develop the Kim Jong-un personality cult," Oliver Hotham, analyst with NK News, told the BBC. The style of the painting is so evocative of the ever-present portraits of the older Kims, that "North Koreans will certainly understand the symbolism of this move".